Ansley Hilton, MD, is a board-certified OB/GYN serving the community of Fort Mill, South Carolina, and the surrounding upstate areas at Southeast Sculpting + Rejuvenation. She offers minimally invasive, medical-grade aesthetic treatments to help patients look and feel youthful and revitalized. She performs MonaLisa Laser therapy, offers bioidentical hormone replacement therapy, and oversees CoolSculpting in her practice. Dr. Hilton earned her medical degree at the University of South Carolina School of Medicine in Columbia, South Carolina. She went on to serve her residency at the Carolinas Health System. Dr. Hilton is a Fellow of the American College of Obstetricians and Gynecologists, a member of the South Atlantic OB/GYN Society, and the South Carolina Medical Society. She also serves as a Piedmont Medical Center board member. 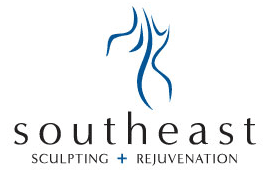 Dr. Hilton is dedicated to promoting the ongoing good health, well-being, and self-esteem of all of her patients at Southeast Sculpting + Rejuvenation.